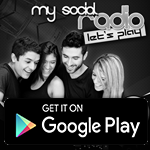 To provide fair and equal chance of winning to all MySocialRadio.com listeners, the following are the official rules for all contests on MySocialRadio.com on air and on website competitions. Our Sweepstake competitions are open to all humans age 16 years of age or older at time of entry. Residents of Taiwan, South Korea, Portugal, Italy, Austria, China, Russia, Hong Kong, Greece, France, Japan, Spain, and Czech Republic are not eligible to enter or win. Employees of MySocialRadio or sponsors its respective parent, subsidiaries, affiliates, advertising and promotion agencies, distributors, merchants involved with a Sweepstake Competition, and their immediate family members and/or those living in the same household of each are not eligible to enter or win. Sweepstakes governed by English Law. Each sweepstake competition is subject to all applicable federal, state and local laws and regulations. Void where prohibited by law. Winners of random email contests will be chosen at random from entries received. Entrants may also mail entries to Competition Entries, MySocialRadio.com Motivated Results Limited, 450 Brook Drive, Green Park, Reading, Berkshire, RG2 6UU. United Kingdom.. Mailed entries must include the contest name, subject line, a valid email and postal address, and any other specific entry information requested in the contest announcement and are subject to the same entry period and rules as emailed entries. MySocialRadio.com is not responsible for and will not consider incomplete or incorrect entries, or emails sent or entries mailed but not received by MySocialRadio.com for any reason, as potential contest winners. Winners of all contests will be contacted at the “sender” email used to enter the contest, and the person receiving and replying to the winner announcement email will be considered the winner unless they specify another person within the reply email as the winner. MySocialRadio.com will mail the contest prize to the address supplied by the recipient of the winner announcement email. Claiming of prizes requires an email to MySocialRadio.com from the winning sender email address within 15 days of being notified of winning at the email used to enter. Failure to respond shall mean that the winner forfeits the prize. MySocialRadio.com is not required to award elsewhere any prizes forfeited by the chosen winner(s). Entries selected for display and to win “best of” contests and any other contests requiring photo, text or other content from the entrants will be judged entirely at the discretion of MySocialRadio.com. You understand and intend that any photo or information submitted by you to MySocialRadio.com may be available for viewing, rating, review and comment on by the public, and understand that comments or ratings with which you disagree or are unhappy about may be published or otherwise become associated with any photo or information you submit to MySocialRadio.com. 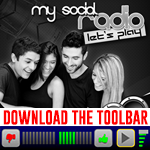 By submitting any photo or information to MySocialRadio.com, you hereby waive any privacy expectations that you may have with respect to any such photo or information submitted by you to MySocialRadio.com. Photos or information submitted by you to the Site shall be the property of MySocialRadio.com, and MySocialRadio.com shall have no obligation to preserve, return or otherwise make available to you or others any photos or information so submitted. Each prize winner must supply MySocialRadio.com with his/her legal name, mailing address, birth date, daytime and night-time telephone numbers. In the case of a cash winner, winner must also supply social security number. Neither MySocialRadio.com, MySocialRadio.com sponsors, nor employees of MySocialRadio.com or sponsors may be held liable for any warranty, costs, damage, injury, or any other claims incurred as a result of usage of any winners of a prize once possession has been taken of the product by winner. 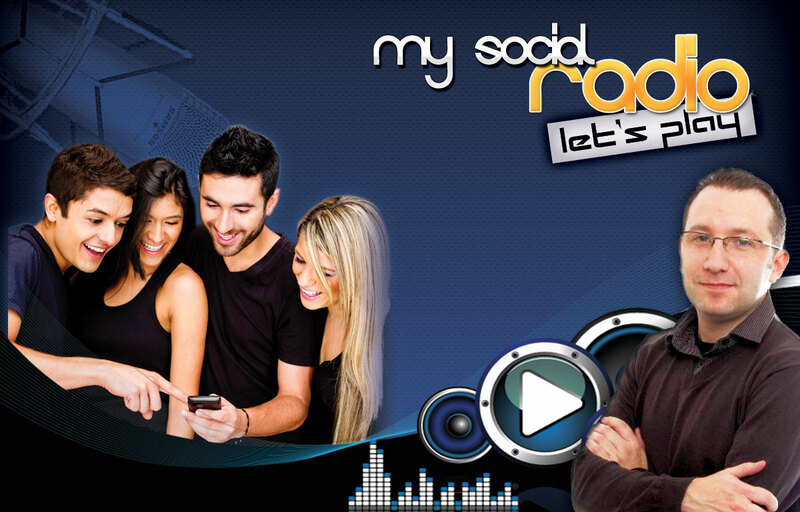 MySocialRadio.com is not liable for any loss arising out of or in connection with or resulting from any contest promoted by MySocialRadio.com. If the specified prize becomes unavailable due to unforeseen circumstances,MySocialRadio.com may substitute a prize of like or equal value. Management, employees and families of MySocialRadio.com are prohibited from winning any prizes awarded by MySocialRadio.com. 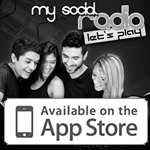 MySocialRadio.com reserves the right to alter any rules of any contest at anytime. If you have any questions or complaints about a MySocialRadio.com contest, please contact us at the above address or by using our contact form. All Sweepstake Competitions shall be governed by and interpreted under the laws of the England without regard to its conflicts of laws provisions. By participating, entrants agree that any and all disputes arising out of or relating in any way to this Sweepstakes shall be litigated only in courts sitting in England. 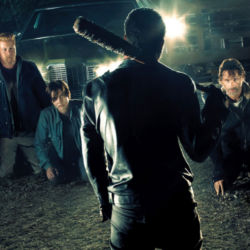 You must be <a href="https://www.mysocialradio.com/wp-login.php?redirect_to=https%3A%2F%2Fwww.mysocialradio.com%2Fcompetition-entry-terms-conditions%2F">logged in</a> to post a comment.